Ennis Electric, an electrical contracting company serving the DC metro area, was proud of its corporate social responsibility efforts. The company’s charity-related work was a testament to its commitment to the Washington DC region, but few of its customers or prospects were aware of their local involvement. Ennis Electric asked Verasolve to help bring attention to these worthy causes and, more generally, increase publicity of the company as a whole. Verasolve developed a strategic content marketing and PR campaign to increase visibility of Ennis Electric’s charitable efforts. The campaign combined blogging, social media promotion, press releases, and media pitching. Since implementing our campaign, Ennis Electric’s Facebook following has increased, as have click-throughs from Facebook to the company website. Several local news outlets have published stories about Ennis Electric’s community giving efforts. 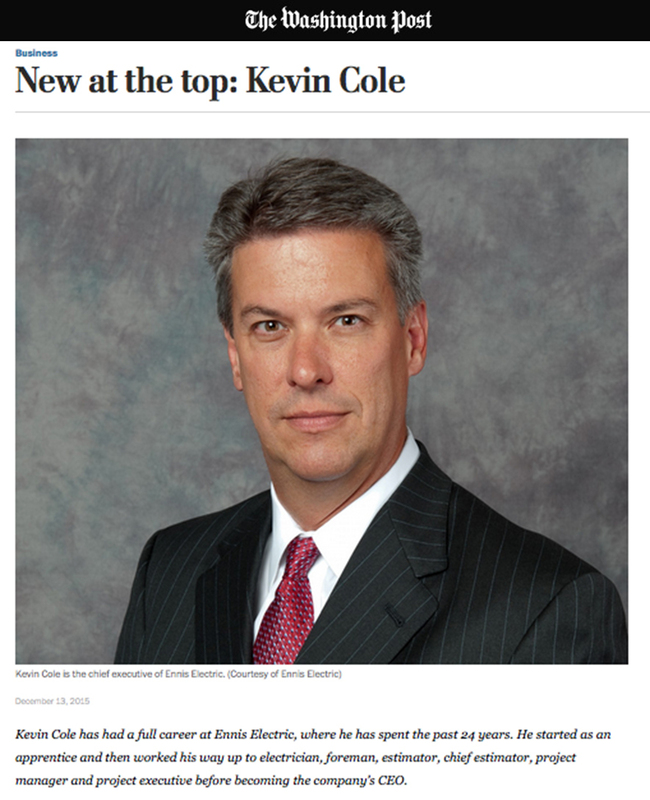 Ennis Electric was also featured on a segment on ABC7’s “Good Morning Washington,” and their new CEO, Kevin Cole, was interviewed for The Washington Post‘s “New at the Top” column.